Customize your SharePoint 2013 Master Page with the help of simple steps. SharePoint is a wonderful document sharing, web development and business collaboration platform that is gaining much popularity among numerous people around the world. Due to the wide range of functionality offered by this platform, it is now important to design custom master page for your SharePoint 2013 site for making a strong business impact. If you are new to the field of website development and this SharePoint 2013 platform, it is time to start paying attention to this unknown territory of SharePoint MasterPage customization for higher business results. For the beginners in this area, here is the helpful insight that can guide you step by step in the right direction regarding SharePoint 2013 master page customization. A Master Page in SharePoint consists of various chrome elements of a web page that consists of site areas that remain unchanged from various pages along with the associated master styles, scripts, images, fonts and other site components. For SharePoint 2013 users, there are basically two methods for account creation. Firstly, they can download the SharePoint 2013 and can create their individual account on it or the user can also create a cloud based account without any problem. Here, I am discussing about the cloud based account creation approach as it is much easier. You need to visit the link to ensure a smooth signup for the SharePoint 2013 account creation. Once, you have signup for the account, you can effortlessly have your own SharePoint 2013 cloud environment. All these step by step instructions will also work for the local version of the SharePoint 2013 site. 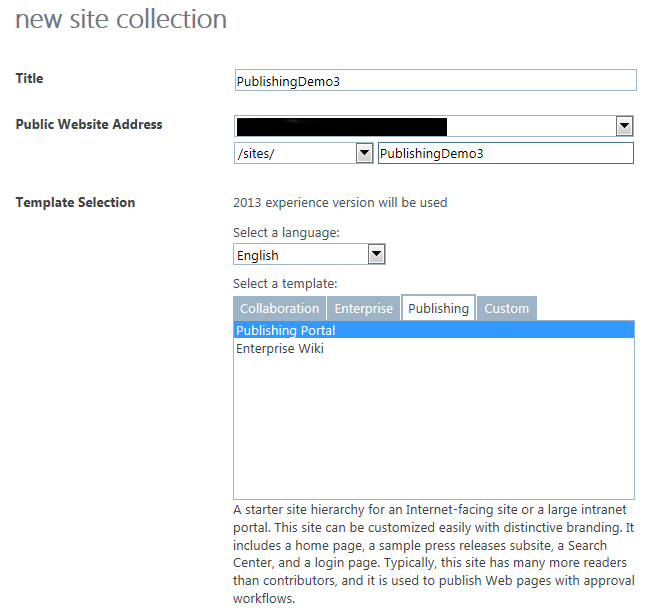 Follow the simple steps to create a new Publishing site collection for your SharePoint account. Once, you have got the access to your SharePoint 2013 account, the user is provided with a public facing website and a collaboration site. SharePoint users can utilize the public facing website but I would recommend the creation of a separate Publishing site collection for development purposes as Microsoft only offers one public facing website in the existing cloud scenario. For the creation of a new Publishing site collection, you need to follow the path Admin -> SharePoint -> Site Collections and then click on the New Private Site Collection button. Once, you have got the Publishing Site, it is now much easier to customize the new Master Page for your SharePoint 2013 platform. These are some of the basic steps that can help in accomplishing the SharePoint MasterPage customization task in a smooth manner. Once, you have completed these initial steps, it will be much easier for you to customize the Master Page for your SharePoint 2013 site.